Destiny 2 - What are the new subclasses? | PowerUp! As part of Destiny 2’s reveal, Bungie showed off three new subclasses and some of their new abilities. Each class was shown having one new subclass; Dawnblade, Sentinel and Arcstrider. Each subclass was shown briefly in the footage from the game’s first mission; Homecoming. Take a look at the full video below. As you can see, the Warlock is the star of the video with the Titan and Hunter each getting a few seconds of spotlight. The three new subclasses cover each of the elements, but that’s not all that’s changed. Each class now comes equipped with latent abilities that change depending on the subclass. In Destiny, the only real differences between classes was the way they jumped, the grenades and their melee. Each subclass could be fine tuned to change their Attack, Defense and Agility, though it didn’t make a huge difference. The new latent abilities will have a huge impact. The Warlock’s Dawnblade is the new Solar subclass. Like the Sunsinger, it uses the power of Light to deal damage and to heal allies. As the Dawnblade is the star of the Homecoming mission’s footage shown, we have the most information on it. As with all subclasses, the Dawnblade has access to three grenades and melee attacks and a powerful Super ability. The three grenades available to the Dawnblade are the same as those for the Sunsinger, Firebolt, Fusion and Solar Grenades. The melee attacks are also reminiscent of the Sunsinger. 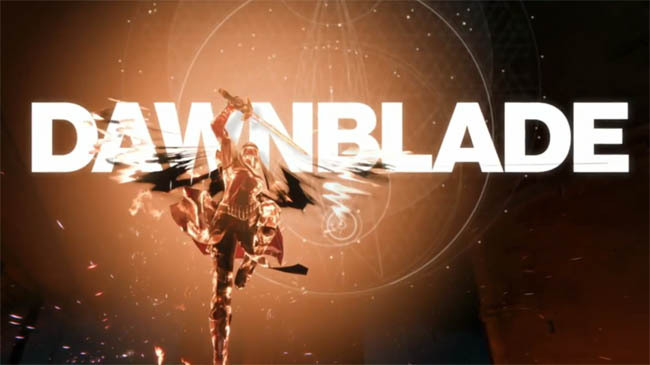 New abilities for the Dawnblade include Rift, Phoenix Dive and Blazing Dash, while the super is called Daybreak. Rift lets the Dawnblade throw a small bubble which can heal allies or buff damage. Blazing Dash is a mid-air dodge that’s useful for avoiding enemies. Phoenix Dive is activated in mid-air by holding the crouch button and causes the Dawnblade to dive downwards and regenerate some health. You can see it being used a couple of times in the gameplay video above. Daybreak is the Dawnblade’s Super and it looks amazing. 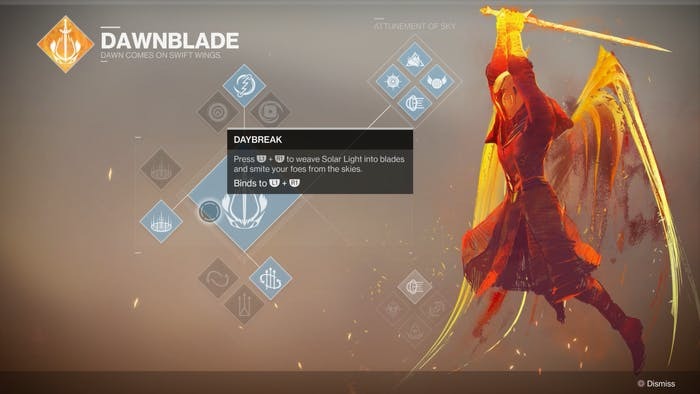 By using solar energy, the Dawnblade forges blades of Light which can be thrown at enemies, or used as a melee when up close. Daybreak can be combined with Phoenix Dive to do explosive damage over a wider area and regenerate health. The Titan’s Sentinel is the new Void subclass and is essentially Destiny’s Captain America. The Sentinel is able to generate a shield that can be used as a melee weapon to bash enemies out of the way. It can also be thrown — just like Steve Rogers — to be used as a projectile weapon. The Hunter’s new subclass is the Arcstrider and it’s pretty similar to the Bladedancer. Both are Arc based and both turn your Guardian into acrobatic balls of electricity. The Super gives you Hunter a staff made of electricity, essentially turning them into Nightwing. We’re not sure if these new subclasses will replace the existing ones, or whether they’ll all be available. Bungie is remaining tight lipped, but hopefully we’ll get more information soon. Once we have more information on the other new subclasses, we’ll be sure and update you.